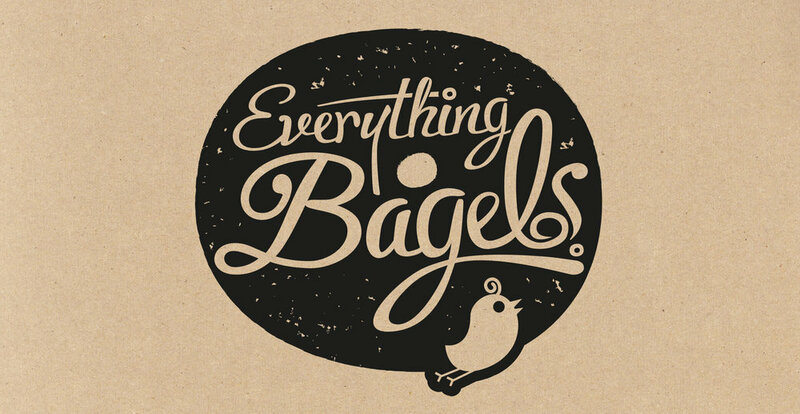 Everything Bagels are homemade and organic. The brainchild of Georgina, the delicious bagels were sold at a farmer’s market. Our brief was to create the brand and packaging design that captured the wholesome, handcrafted spirit of the product. We set out handcrafting paper cut birds, hearts, swirls and circles to create a warm artisanal look and feel. Add to this the textured fibrous packaging, playful typography with bold and vibrant colours we had a packaging design that spoke volumes about the organic, heavenly tasting bagels inside. "Design Happy have exceeded all our design expectations for our branding & packaging"